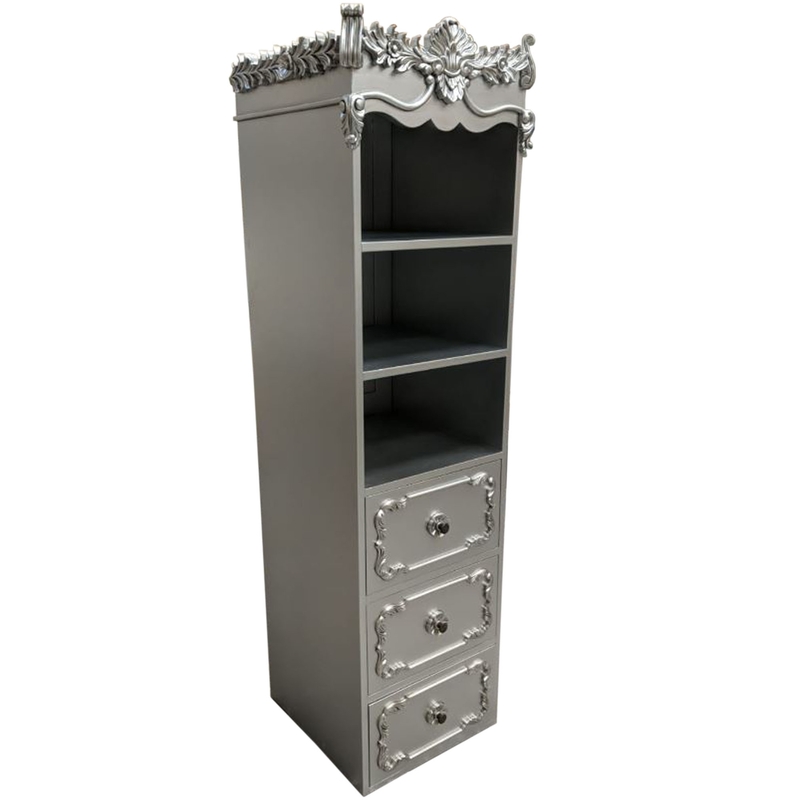 With it's wonderful antique silver finish, this beautiful display cabinet from our collection of antique French and shabby chic furniture is a fantastic must have addition in any home. A truly exceptional item that is guaranteed to last generations. As is the case with all of our items, this cabinet is handcrafted by experts using only the finest of materials. Featuring 3 drawers and ample shelving space, this antique French style display cabinet is sure to impress in any home setting.